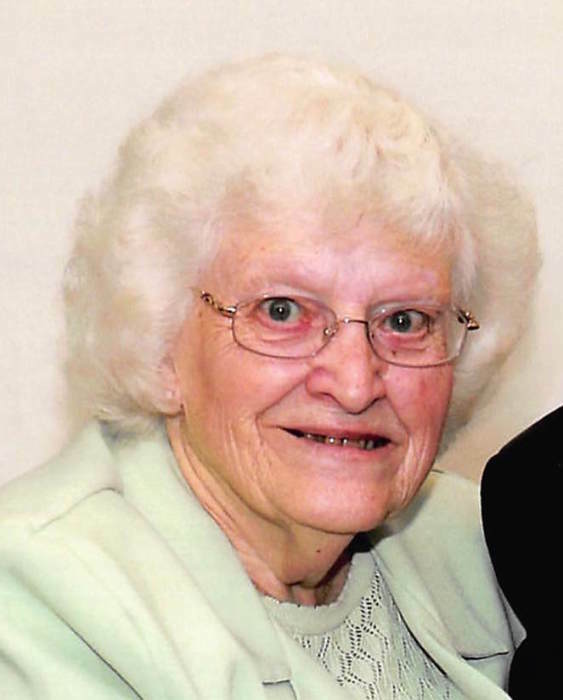 Marilyn June Hartman, age 87, of Linton, went to be with the Lord at 4:11 P.M. on Sunday, October 21, 2018, at Glenburn Home in Linton. She was born in Lodi on June 19, 1931, the daughter of Abott & Ethel (Thompson) McMurtrey. Marilyn served as a missionary in Brazil, South America. She enjoyed her time working with Child Evangelism International. She loved children and they loved her. She worked as a teacher for many years, and lived most of her life serving God as a pastor's wife. Marilyn and Dean founded Fellowship Baptist Church in Linton in 1987, built the church building in 1988, and pastored the church for fifteen years. They have remained active with the church and it's ministry for 31 years. She is survived by her loving husband whom she married May 14, 1960, Rev. Dean Hartman of Linton, her children, Diane (Jerry) Owens of Memphis, TN, Barbara (Joe) Sollars of Milton, FL, John (Sue) Hartman of Knoxville, TN, Dwight (Cindy) Hartman of Nashville, TN, and Karen Joy (Joe) Davis of Athens, GA, two sisters, Janet (Norman) Dowers and Carol (Bob) Barr, thirteen grandchildren and five great-grandchildren. She was preceded in death by her parents, a brother, John McMurtrey, a sister, Mona Mitchell, and a granddaughter, Dawn Sollars. Funeral service will be held at Fellowship Baptist Church in Linton at 11 A.M. on Saturday, October 27, 2018, with Rev. John Winders officiating. Burial will follow at 2:30 P.M. Clear Run Cemetery in Bridgeton. Visitation will be held at the church on Friday from 4-8 P.M. and Saturday from 10 A.M. until the time of service.